Good morning and Merry Thanksgiving! Are you ready to kick off the 30 Days in a Holiday State of Mind series? 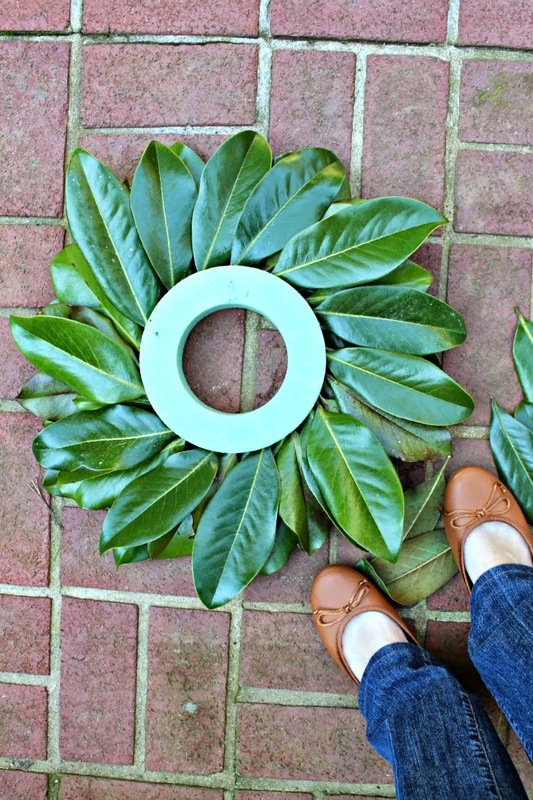 Today I am sharing a 15 Minute Magnolia Leaf Wreath tutorial. 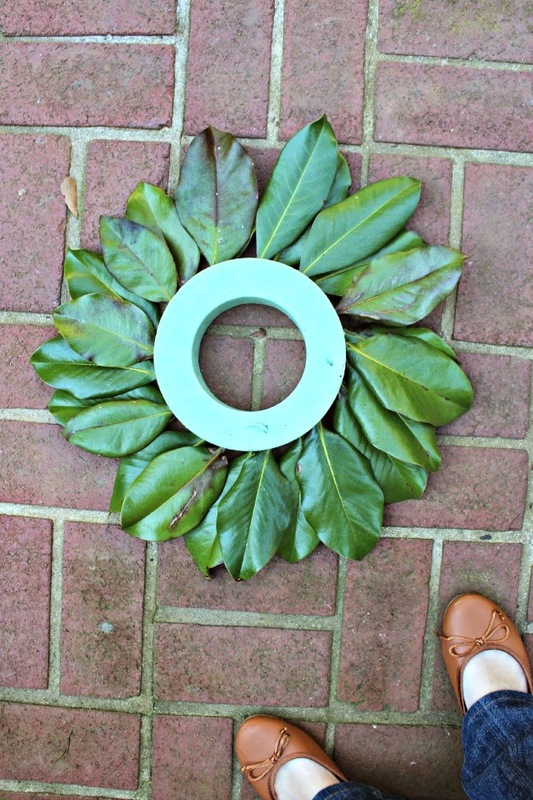 For this simple wreath, all you need is a foam wreath form, from you guessed it, apparently my favorite place these days… The Dollar Tree! 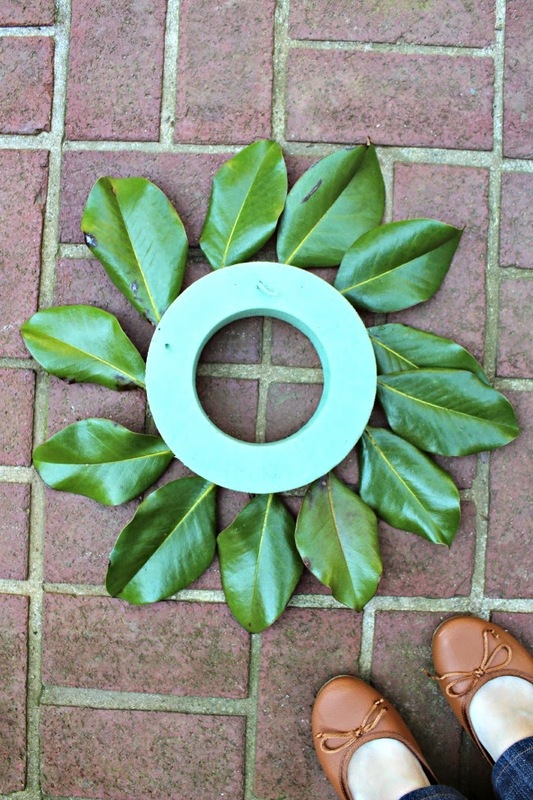 Step 1: Collect your magnolia leaves. 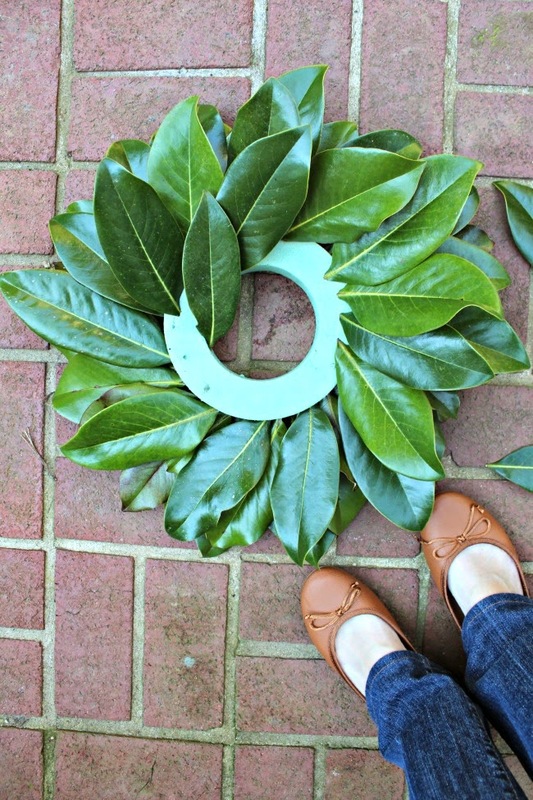 Step 2: Insert those leaves into the foam wreath form. Thanks for joining the first day of our 30 Days in a Holiday State of Mind series! Be sure to check below for more posts to get you in the holiday spirit!